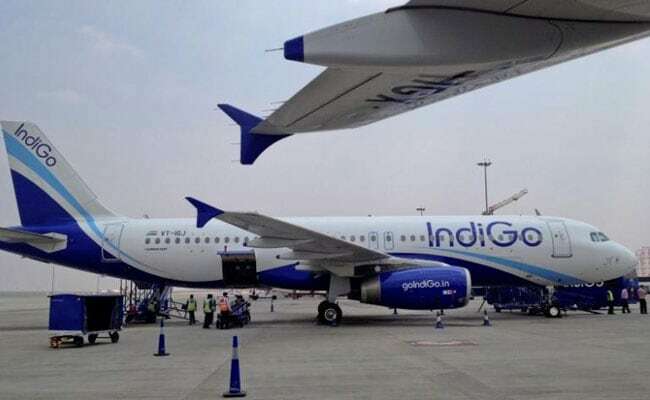 IndiGo has announced a new service that enables its passengers arriving at airports earlier than their flight schedule to board the earliest flight at Rs 1,000. IndiGo was offering all-inclusive tickets starting at Rs. 1,174 for select one-way flights on its domestic network. The starting price of Rs 1,174 was being offered on select flights from Chennai to Bengaluru, according to IndiGo's website - goindigo.in. Among other fares offered by IndiGo were all-inclusive tickets starting at Rs 1,178 for flights from Delhi to Jaipur, Rs 1,220 for Jammu to Srinagar, Rs 1,592 for Chandigarh to Delhi, and Rs 1597 for Lucknow-Delhi, and Rs 1,920 for Jaipur to Ahmedabad, the airline's portal showed. A search on the IndiGo bookings portal on Monday showed tickets for some flights from Chennai to Bengaluru next month and in November were available at Rs 1,174. Also, select flights from Bagdogra to Guwahati in November were being offered from Rs 1,227, the portal showed. "An additional, non-refundable convenience fee of INR 200 per passenger per sector will be levied on all online payments made through Net Banking/ Credit Cards/Debit Cards (or SGD 10/AED 20/THB 105/OMR 2/NPR 320/USD 10/QAR 20)," IndiGo added. Meanwhile, IndiGo has also announced a new service that enables its passengers arriving at airports earlier than their flight schedule to board the earliest flight at Rs 1,000. Called 'IndiGo Early', IndiGo's this service is applicable to "all passengers travelling on a domestic flight, wanting to prepone their flight (within 4 hours)", the airline said on its website. The next time you land early at an Airport, opt for IndiGo Early and get a seat on the earliest flight out just for Rs 1,000, IndiGo said. Amid heightened competition in the aviation sector, many airlines have time and again offered discounts and attractive fares in the recent past. In June, domestic air passenger traffic rose 19.98 per cent to 95.68 lakh, as compared to 79.75 lakh in June 2016, data from aviation regulator DGCA (Directorate General of Civil Aviation) showed. Another airline AirAsia India has announced all-inclusive tickets starting at Rs. 999 in a limited-period promotional scheme. Bookings under its "Big Sale" - applicable on travel from March 1, 2018 to November 21, 2018 - can be made till September 17, 2017, AirAsia noted on its website - airasia.com. National carrier Air India earlier this month offered a 50 per cent discount to select categories of flyers.